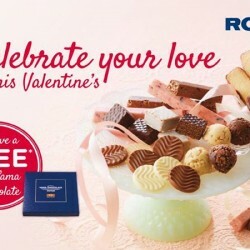 This Valentine’s Day, surprise your loved ones with luxurious chocolates from ROYCE. These delicious treats will surely set their hearts aflutter with every bite. Receive a FREE box of Nama Chocolate, any flavour of your choice, with a purchase of $100 worth of ROYCE’ products in a single receipt. Choice of redeemable Nama Chocolate flavour is subject to availability and while stocks last. Terms and conditions apply. 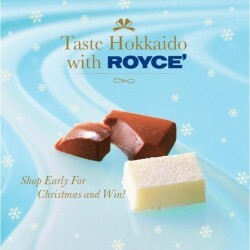 Hurry, November is coming to an end, and with that our Taste Hokkaido with ROYCE’ promotion! With every $50 spent this month, you’ll receive a special gift card that might win you more delicious chocolates from ROYCE’ in December.